One of my earliest memories of Marvel's trying an imprint formula was when they put all of their supernatural books into a line called Midnight Sons. Before then, there were sort of unofficial lines (the Spider-Man titles, the X-Men books, etc. 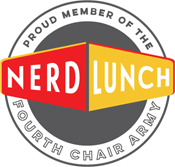 ), but this was the first time I remember seeing a purposeful attempt to start a new brand. It didn't last long, but I loved it while it did. So for my Marvel 52, I'm bringing it back. 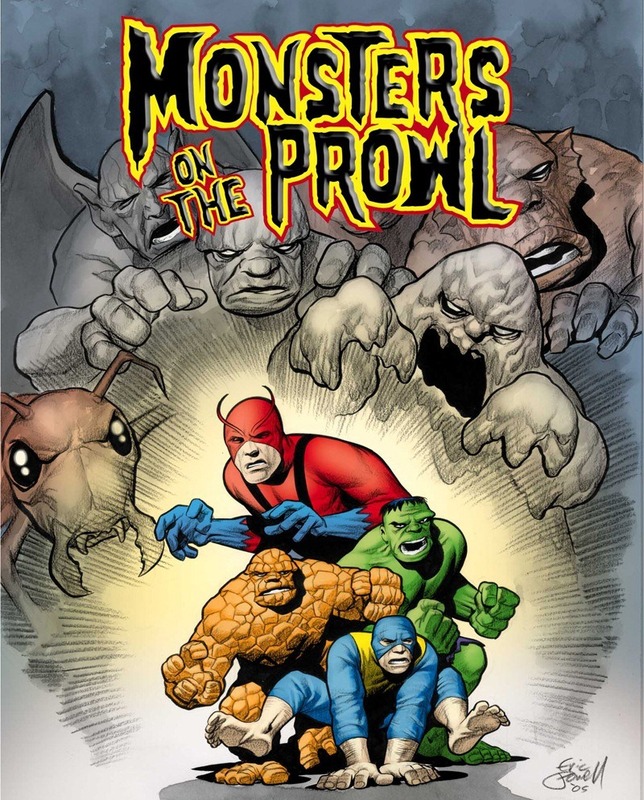 In 2005, Marvel published a Halloween event called Marvel Monsters. My version of Midnight Sons owes as much to that as to the original Midnight Sons line. 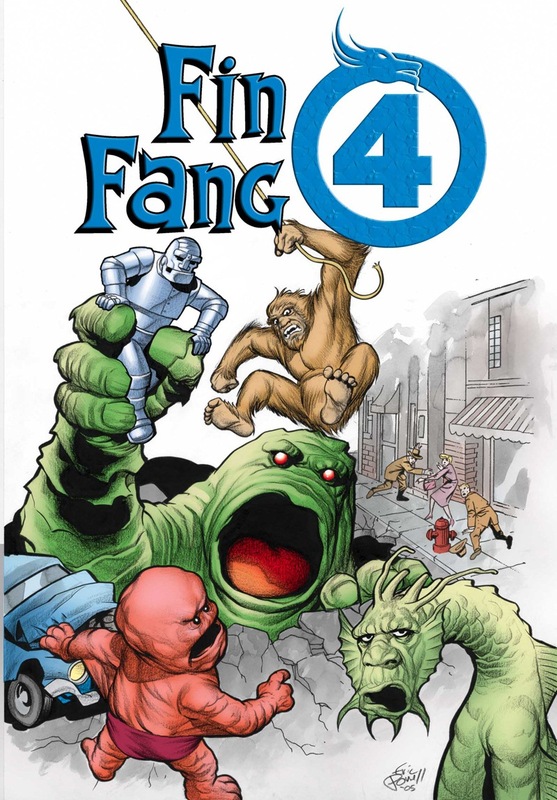 One of the several Marvel Monsters one-shots was Fin Fang Four, co-written by Scott Gray and Roger Langridge and drawn by Langridge. It featured Marvel's most famous giant monster as he teamed up with other Altas-era giant monsters (a robot, a gorilla, and an alien) to fight a microscopic warlord who'd been enlarged to giant-size. 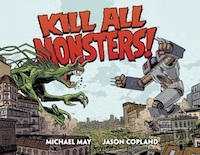 In my version, they'll continue to fight giant menaces (sort of an update on Marvel's old Godzilla comic) while drawn by Richard Moore (Boneyard), who's got a knack for drawing light-hearted, but empathetic versions of classic creatures. Marvel's answer to Buffy the Vampire Slayer is Elsa Bloodstone, daughter of monster-hunter Ulysses Bloodstone. 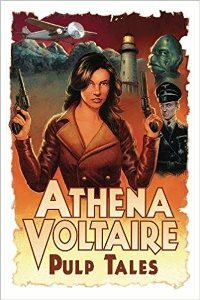 She doesn't need a lot of introduction thanks to Warren Ellis and Stuart Immonen's including her in Nextwave, but my version would be more of an adventurous romp through Marvel's monsterverse for the Young Adult crowd. Balancing fun with scares is tough, so I picked two YA comics creators who already know how to do that. Vera Brosgol's Anya's Ghost is part high-school comedy/part horror story, while Paul Taylor's Wapsi Square mixes relationship comedy with some spooky Aztec mythology in a very cool way. 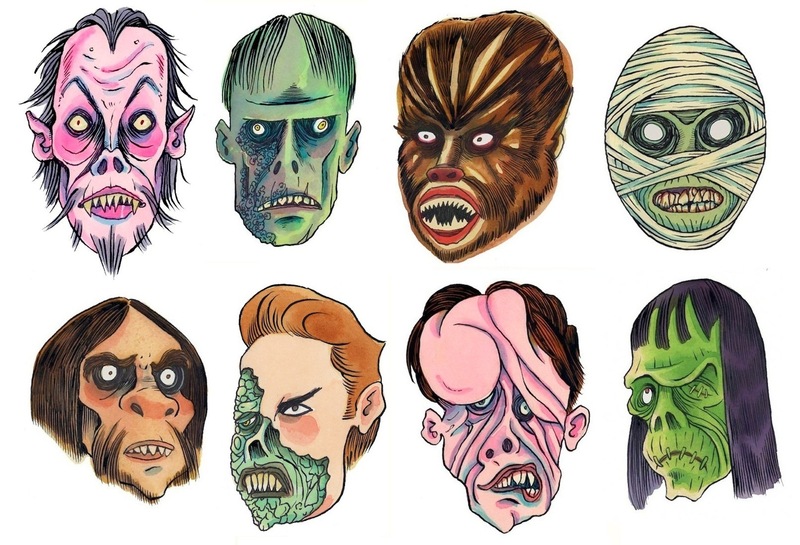 Just an excuse to team up Marvel's versions of Dracula and Frankenstein's Monster with other monster-inspired characters Werewolf by Night, The Living Mummy, Mr. Hyde, The Lizard, Quasimodo, and Zombie. Paul Cornell (Captain Britain and MI13, Action Comics) could have a lot of fun with that and I'd love to see Richard Sala's takes on all those characters. There'd have to be a cute girl though, so maybe this could be a companion to Elsa Bloodstone's solo title. Especially since Marvel's already doing one kind of like that. I wouldn't really want to offer any editorial input on this. Just: Gaiman. Mignola. Inhumans. Go! Though I'm perfectly okay giving Fialkov a jungle comic with The Savage Land, I'd be missing a huge opportunity if he wasn't also writing a horror comic. 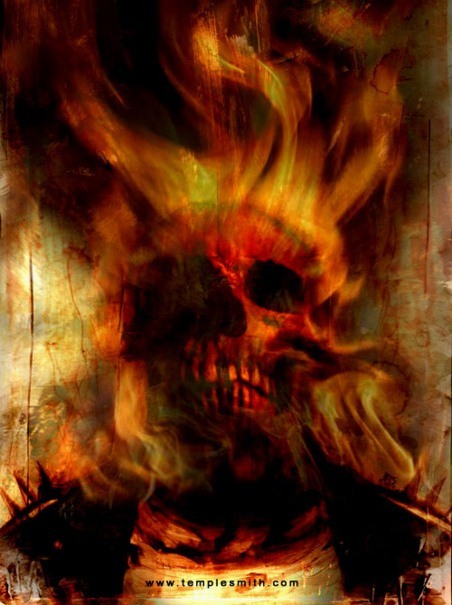 And I just love Templesmith's Ghost Rider. The first of a couple of villain books in my Marvel 52. 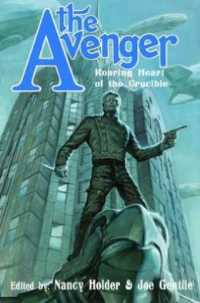 Busiek's grounded enough in Marvel history to make a book work about one of its most classic villains, but he's also inventive and willing to shake things up. I'm not interested in seeing Doom fail at an endless succession of master schemes. I'd much rather read a series exploring his more personal ambitions and the clash between science and supernature. Staples would be perfect for that, especially the supernatural parts. I've known Steve Niles for years and I know how much he loves this character. He'd be brilliant on a Hulk book. 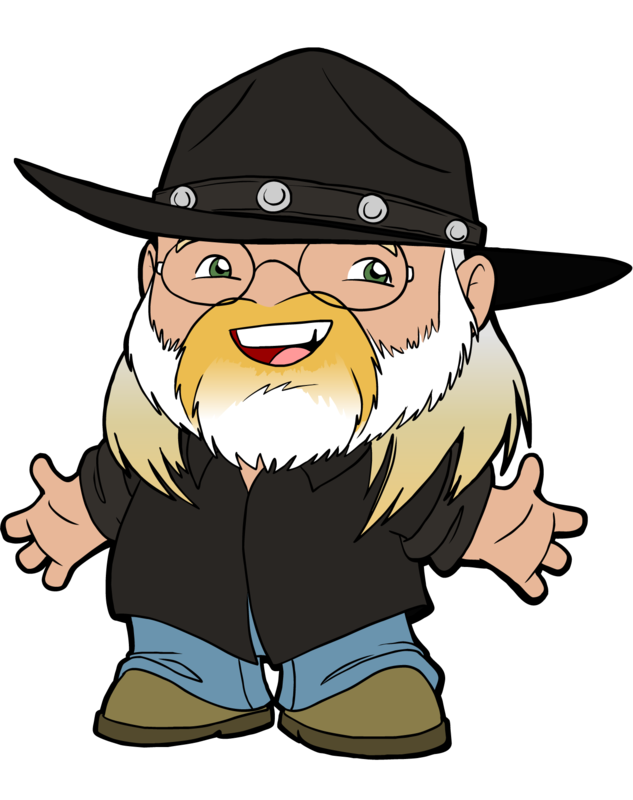 And just look at how Skottie Young draws him. I'm crying a little right now because this doesn't actually exist. Can you imagine Alan Moore on a Doctor Strange book? That might actually be dangerous to read. Doctor Strange should totally be a horror series. That folks keep trying to turn him into a superhero is a shame. Sfar would make it nice and creepy too. Niles has already sort of worked on a Hulk comic. 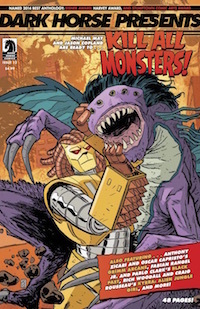 His and Fegredo's Monsters on the Prowl was another part of the Marvel Monsters event, but what was really interesting and cool about it was that it didn't feature characters inspired by classic monsters. Instead, it featured recognizable, big-name superheroes who also all have some monstrous qualities. '60s versions of Thing, Hulk, Beast,and Giant-Man fight a menagerie of Atlas-era giant monsters that have escaped from the Collector. I'd love an ongoing series with that team. As you've seen in the art above, Eric Powell did the covers for the Marvel Monsters books and in my dream line he'd be drawing a book too. The Defenders isn't traditionally a supernatural book, but its founders are a sorcerer, a monster, and an unpredictable menace from beneath the waves, so I'm putting it here. I've always been much more interested in the fantasy aspects of horror than actual scares anyway, so my Midnight Sons line would reflect that. The Defenders ought to sit quite nicely in the catalog next to Monsters on the Prowl and The Hulk. I grew up on the classic Universal Monster movies as a kid, and even tried to create my own "League of Monsters" series with all the big creatures on a team, so I'd be keen on your "Legion", if I had a definitive list of monsters. By any chance, is this the same Paul Cornell who was writing for "Doctor Who?" If so, he be even more qualified! However, the series I'd be the most hooked on would be Niles and Young on the Incredible Hulk. The Hulk is a tough nut to crack. After being weaned on the Silver Age titles when he was crossing over into everyone elses books, its hard to get a handle on wear he is at home in his own world. I discovered Scottie Young through his Wizard of Oz books. He has a style thats very whimsical and cartoonish, but in a way that I don't think would be intrusive on a mainstream book in that way that I think someone like Humberto Ramos can be sometimes. Also, Hulk is a character often typecast as "Dumb Muscle", I think he could benefit from a more cartoonish artist, to give him and his world a looser style. 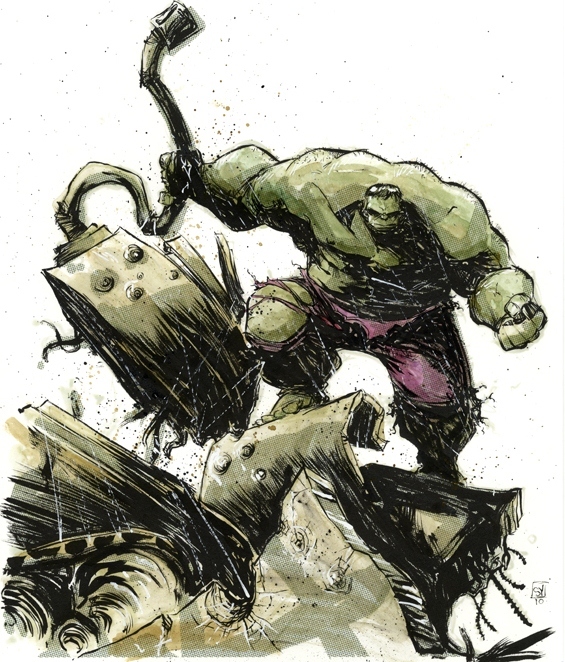 Though this is likely because my first leap into modern Hulk stories was when Kaare Andrews was doing the covers, each one a different visual style, injecting the Hulk into all sort of styles and situations that didn't match his traditional set up. Perhaps put the character in a new surreal environment (something Young can certainly do) with a fun, diverse supporting cast. Eager to hear your ideas for the rest of 52 pickup. I'm guessing X-Titles, Avengers Assemble, Spider-Family, a Young Readers Imprint, perhaps a "City Grit" line for more Urban Heroes like Daredevil, Iron Fist and Moon Knight. Also, I'd like to suggest squeezing in a "Namor: The Sub-Mariner" and "Classic Human Torch" title into your Marvel Pulp! line. If they don't belong there I don't know who does. Maybe, jockey Guardians of the Galaxy into a "Cosmic Comics" line so that Silver Surfer and Nova could have their own titles as well. Maybe put the "Fantastic Four" on the Cosmic branch too because of their frequent offworld expeditions. Yeah, there were several places I could put various characters and your suggestions are just as valid as what I came up with. I like cosmic Marvel, but I'm not a huge fan, so a couple of titles was plenty for me rather than a whole other imprint (though, yeah, the FF could totally go there; maybe more of a Marvel sci-fi line than a cosmic one?). Fun to think about. You nailed two or three of my other "imprints," but I'll wait and reveal them later.